Indulge in "the good life" at Westwind Apartments in Denton, Texas where you'll experience the gold standard of community living. Our property’s outstanding amenities go hand-in-hand with the stylish comfort of our newly renovated one and two-bedroom apartments, providing you with everything you need to make your dream way-of-life a reality. You’ll love coming home to two sparkling swimming pools, a convenient business center, and an all-inclusive fitness membership. Your new apartment compliments all the relaxing luxury found throughout our community with accented features such as a wood-burning fireplace and mantle, large walk-in closets with built-in shelving, and your own personal patio or balcony. With the beautiful backdrop of our landscaped grounds, you can enjoy the peaceful atmosphere you deserve. We invite you to stop by today! 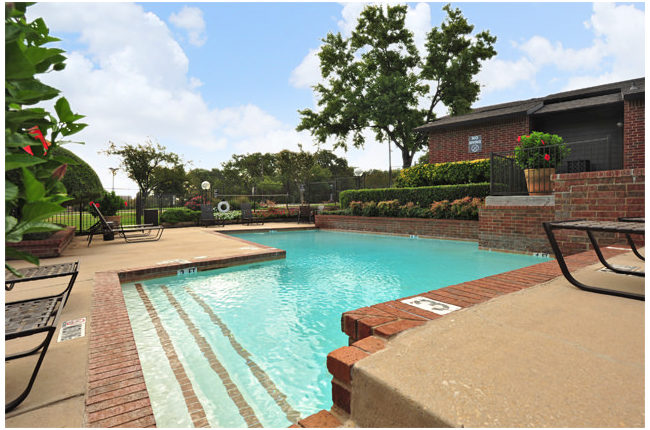 Our central location in the charming city of Denton grants residents of Westwind Apartments with a serene community to come home to as well as big city excitement within reach. You can experience the best of the Dallas and Fort Worth area while still enjoying the high-quality of living that is synonymous with our quiet, cozy residential neighborhood. There’s plenty to explore right outside our community with a fantastic selection of shopping, dining, and entertainment at your disposal. The Golden Triangle Mall, Colorado Square, and Denton Crossing West boast any and every fashion trend, and there’s no end to the delicious dining available, whether you crave a traditional Texan breakfast at OldWest Café or an after-dinner treat from Braum’s Ice Cream. And with gorgeous green spaces such as South Lakes Park and Quakertown Park, you'll have the best options for outdoor recreation.